A few days ago, a wonderful story was sent into us about a little boy called Lachlan. 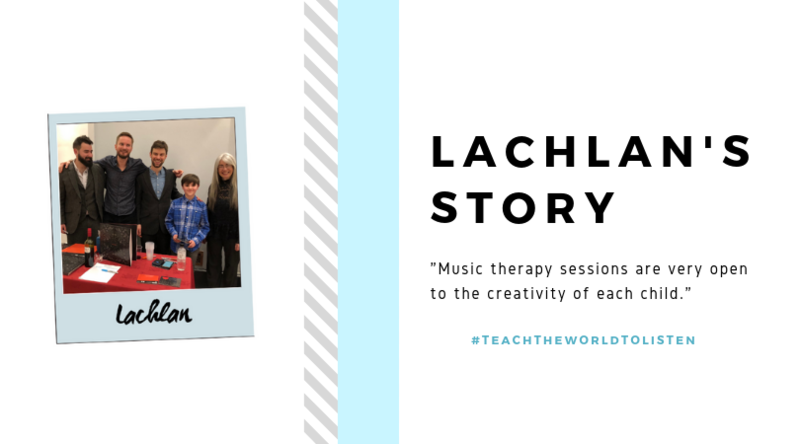 Lachlan and his younger brother started music therapy sessions around a year and a half ago with Emmeline from ELM music therapy who visits every few weeks. The sessions are aided to help his younger brother experience his different senses. He has had an extremely positive response towards music so far and has learned to recognise and follow some of the music games, anticipating with what he has to do. He has even now started to reach out and play with instruments to make noise. These sessions have improved his concentration, coordination and motor skills. He is now also understanding cause and effect relationships. Music Therapy sessions are very open to the creativity of each child. There is a massive choice of instruments and songs that are designed to be meaningful and encourage the use of different noises, volumes, and vibrations. During the sessions, Lachlan and his brothers have very different choices in their volume. 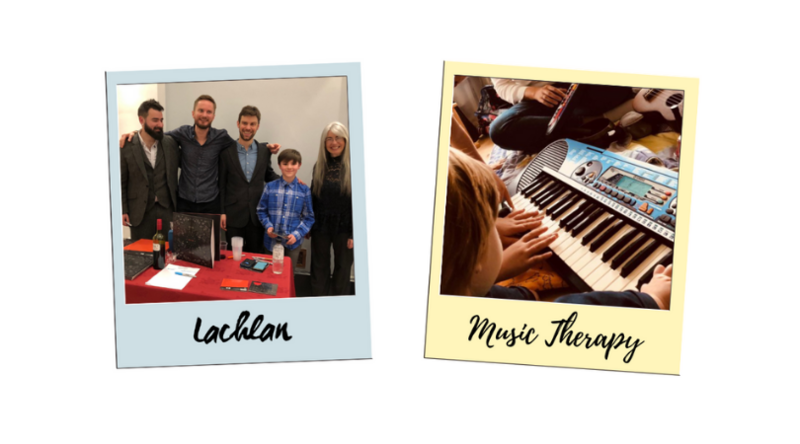 Struan likes to bang on a loud drum, Soren loves the piano and wind chimes, and Lachlan likes the bells that ring different notes to mark changes in the songs and stories that we play to. Lachlan’s favourite instruments however are the glockenspiel and drum kit! They all join in and play together, taking it in turns to direct the experiences, topics, moods, and themes. This often results in laughter! Music is a big part of the day for the family in a range of different ways from listening, practicing with instruments, and playing with toys that have musical components. If you have a story to tell us about the influence Evelyn has had on you, we would love to hear it! Feel free to email it in to pr@evelyn.co.uk and if you wish for it to be on our blog, do let us know. Together, let’s #TeachTheWorldToListen.